Kolaleh Eskandanian, PhD, MBA, PMP is Vice President and Chief Innovation Officer at Children’s National Health System, reporting to hospital’s Executive Vice President, Physician-In-Chief and Chief Academic Officer. In this capacity, she oversees the Office of Innovation and Technology Commercialization, the Sheikh Zayed Institute’s R&D operations, and has a leadership role in the development of the Children’s National Research and Innovation Campus at Walter Reed (2020). She is also the executive director of the FDA-funded National Capital Consortium for Pediatric Device Innovation (NCC-PDI), focused on accelerating the path to market for pediatric devices. Kolaleh works with a large network of small and large businesses, nonprofits and government agencies—addressing the unmet medical needs of children. She is the producer of an annual innovation competition that supports small businesses who demonstrate the ability to address a significant medical need in the pediatric space. Dr. Eskandanian’s expertise includes the full spectrum of product development activities, having held management positions at Accenture, a global management consulting firm, where she directed major product launches for clients. Dr. Eskandanian is the co-PI on the FDA-funded Global Pediatric Clinical Trials Network grant and the CTSI-CN lead of the Orphan Product Accelerator. Dr. Eskandanian’s own innovations are in the market space, used by millions. She is the lead inventor of the first-ever adverse event reporting system, initially deployed in a research academic environment. This technology and its derivatives have now been in the market for over 10 years. She has had leadership roles in the development of the first web-based trouble entry management system for a Fortune 100 company in the telecommunications sector. She has been a key contributor in securing over $40 million in government funding for two large research enterprises. 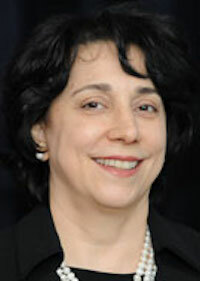 Prior to joining Children’s National, Dr. Eskandanian held positions with Intelsat, Accenture and Georgetown University. Her background is in mechanical engineering with a PhD in operations science and an MBA from American University Kogod School of Business.